Print On Advertising is one of Egypt's leading advertising company. Established in 2007 by Eng. Ahmed ElShafei, with a mission to let you unleash your full potential by the power of advertising solutions. At Print On, our aim is total client satisfaction. We have developed the company with this as our key ethos, and we believe it has what has made us so successful since our opening in 2007. With a team of creative and professional web design experts, PRINT ON offers unrivalled websites, web pages and online campaigns. We also offer off-site optimization services like search engine submission, press release creation and distribution, etc. Such techniques help to generate inbound links for the website and further increase its visibility and visitor flow. 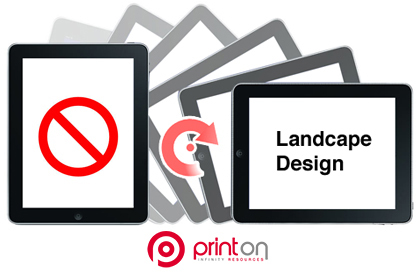 At PRINT ON our mobile web designer's start by consulting with you to design a mobile enabled website architecture so mobile browsers can quickly and efficiently gain the information they need while out and about. PRINT ON offers you custom logo design services. We create artful logos that leave a lasting impression in the minds of people. Welcome to PRINT On "infinity resources"
Print On welcomes potential partnerships. If you feel our services can benefit your company or clientele, please contact us to further discuss the opportunity. The PrintOn Revolution Magazine 'll serve all companies and freelance users to know about the new advertising technology. Coming soon in Sep. 01-2013. A static website design can support your business to identify your products, services, and any other related information. We create powerful brands from superior strategies derived from intelligent insights and effectively communicated. Copyright ©2014-2015 PRINT ON "Infinity Resources" all rights reserved. We are sorry this website is only viewable in landscape mode... Thank you.